Sometimes chocolate pieces are so beautiful that you don’t even want to eat them. Granted, that never lasts long, because who doesn’t want to eat chocolate? 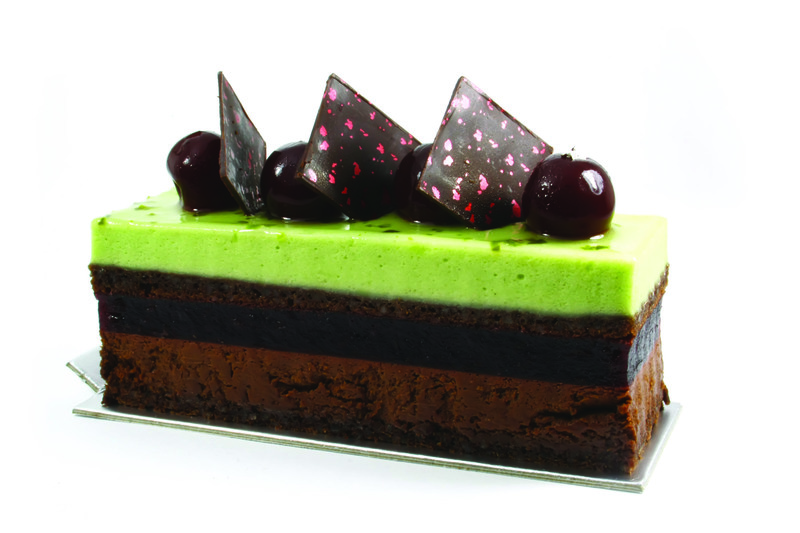 February is Celebration of Chocolate Month, and some of CK Products‘ favorite chocolate pieces are made using Silicone Chablon Stencils. 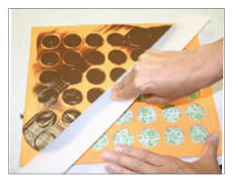 These stencils are used to make small candy pieces with candy coating or tempered real chocolate. They can also be used with cooked sugar to produce beautiful, glass-like pieces to decorate a special cake or dessert. Decide on a shape. Silicone Chablon Stencils are available in round, round with scallop edge, square, paisley and butterfly. Lay chablon on chocolate transfer sheet. 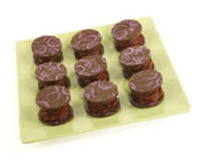 Pour approximately 2/3 pound melted candy coating or melted and tempered real chocolate over the chablon, filling the first row on two sides. Smooth with a confectionery blade or other straight edge, spreading at an angle. Slide transfer sheet with chablon onto a cookie sheet and place in refrigerator for 5 minutes. Invert and remove transfer sheet. With gloved finer, press gently to remove chocolate pieces. Create shaped pieces following directions above. Pack truffle mixture in pastry bag fitted with a tip. Pipe truffle mixture on top of one shaped piece. Place a shaped piece on the piped truffle mixture.